Raised on the east coast, Jessie graduated from Ithaca College in New York with a degree in Communication & Media studies with minors in Dance & Spanish. After studying abroad on Semester at Sea and visiting 10 countries and 5 continents in 100 days, her lifelong passion for travel was unleashed and has led to a 20-year career path in Travel, Hospitality and Real Estate Marketing. After a tenure with EF Education in Boston and Portland, Oregon, Jessie shifted to a hospitality focus and homed in on Aspen and has not looked back. 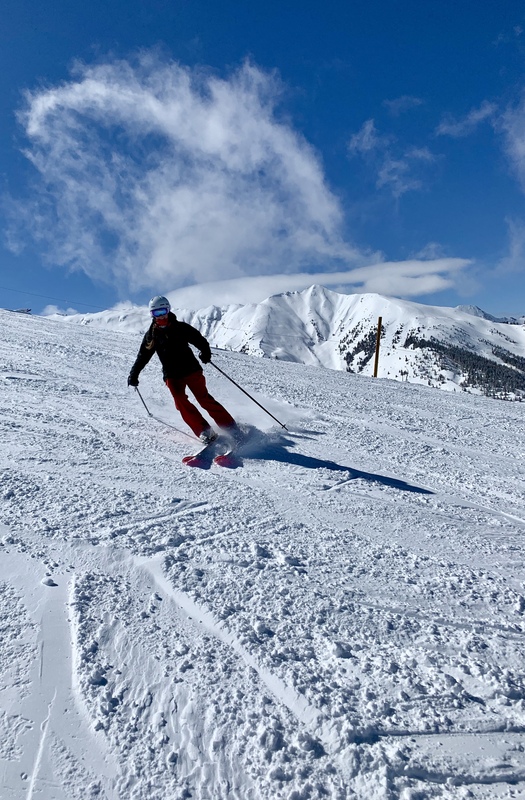 Jessie has lived in the Roaring Fork Valley for 15 years and has worked for Aspen Skiing Company and Timbers Resorts with a focus on events and all channels of Marketing. She is very happy to have found Bluetent where she is focused on developing the most effective strategies for her clients that will achieve their business goals online. Outside the office, you can find Jessie with her husband Travis and two children Ella & Haaken, as well as their huge dog Asher adventuring in Colorado and afar. Jessie enjoys skiing, camping, biking, fishing, SUPing and attempting to train her dog. Best Part of Bluetent: Working with equally driven and passionate people, the daily dog greetings at my desk, an endless supply of coffee and flex time make it a great place to be!